You want to feel free from the heavy emotions that are weighing you down. You want to feel more relaxed and at peace. You want to feel seen, heard, and witnessed in a safe space. After personally dealing with the emotional pain from endometriosis and infertility and coaching other women with endo, I feel like I already know you pretty well. You feel like no one understands or relates to all that comes along with endometriosis & it’s impacting your quality of life. You desire a compassionate, supportive ear that has been there and gets it. You intuitively feel like there may be bigger energetic blocks present, but you’re not sure how to release them on your own. You’re aware of the impacts of energy and your emotions but you need some guidance and support on how to balance things out. You’re ready to drop some of the walls and receive healing. If this sounds like you, then you’re in the right spot. In fact this is true with many of the women with endometriosis that I’ve worked with. As a women with endo, who has also struggled for over a decade with infertility, I get it. I completely do. I understand the heavy emotions of fear, sorrow, shame and guilt that can come with endo & infertility. I see you putting on a brave face and pushing through, when all you want to is break down and cry. You wish you could find someone to finally listen and understand. Good news. I do and I will. My name’s Aubree Deimler. 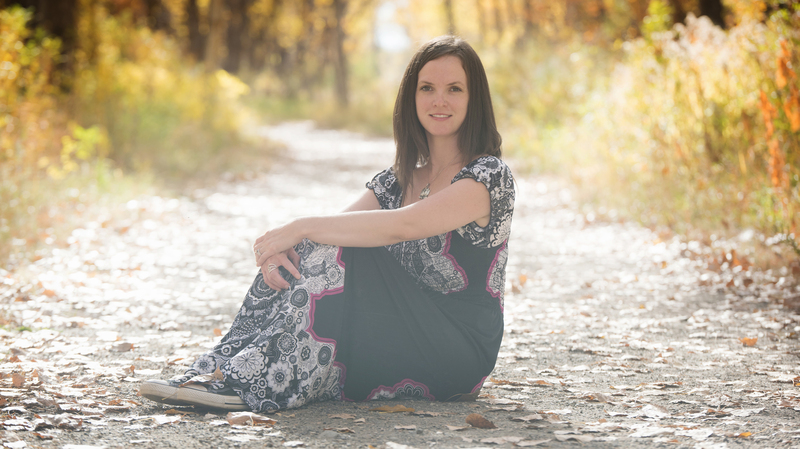 I am an author, coach and energy worker who helps women with endometriosis to naturally manage pain, increase energy and find peace with endo. I know that the pain’s not limited to the physical. There are a lot of emotional pain that comes from living a life with endometriosis and/or infertility. When you open up and allow for the emotions to be felt and processed then you create space for true healing to take shape. I’ll provide you with a safe and nonjudgmental space for you to release whatever you need to, and help move some of those heavy emotions out of your body with the help of energy work. Please know there is a way out, love. If you’re open to receiving my help and guidance, I’m here to serve you. It starts with you taking the next step. These are for women with endometriosis and/or infertility who are ready to release the emotional weight and be seen, heard, and witnessed on a greater soul level. You’ll come away feeling lighter and at ease. I work within the chakra energy system and help tune into any blocks that may be present in your energy system. The 1:1 session will take place with me over the phone or on Zoom. I was diagnosed with endometriosis in 2011 (even though I’ve struggled with it my whole life). I wasn’t happy with the conventional treatment options offered to me and the negative messages I received about endo: there’s no cure, it’s going to get worse, you may never get pregnant… All of that made me feel super overwhelmed and hopeless. Luckily I found another way. As a forever student and researcher I’ve read hundreds of book on health and wellness and have experimented myself with many different alternative healing modalities. But it wasn’t until I addressed deeper emotional and spiritual concerns that I was finally able to release the pain with my periods. This has made life with endometriosis more manageable. As the pain was finally released, so too went the fear. It’s all about tuning in and figuring out what’s going on with you. In addition to my personal experience I’ve spent years learning from other ladies with endo. Everyone’s different. It’s all about figuring out what works for you and listening to the intuitive nudges that help direct you down your personal journey. I received my health coach training from the Institute for Integrative Nutrition (IIN), where I was trained on more than one hundred different dietary theories. My education has equipped me with extensive knowledge in holistic nutrition, personalized coaching, and preventative health. After graduating from IIN in 2014 my education didn’t stop. 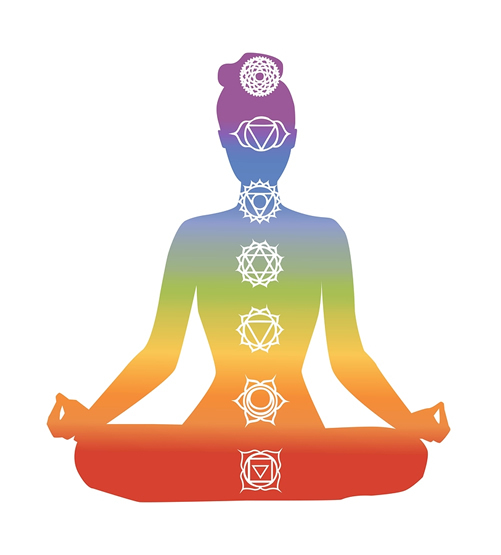 I’ve delved more into the energetic and spiritual side of healing and have learned how to clear and balance out energy through the chakra system. It’s possible to feel better. No matter the negative messages you’ve received about endo, I’m here to say, there’s always a way. It’s possible to feel better, love. I’m here to show you the way and to support you so that you can feel confident in your body’s amazing capacity to heal itself. I’m here to hold space and allow you to release the emotional pain and clear energy so that you can sync back in flow with your soul’s higher vibrations of love, joy and peace. All you have to do is show up, be open to receiving my help, be ready to feel your emotions, and be willing to let go of that which needs to go. $111 for an hour with me. To ensure that I provide the highest level of support to help you create transformation in your life, I have a limited number of spots available each week. Don’t miss yours! Once you schedule your time I’ll confirm it and send you over more details for our call together. You’re open to receiving my help and guidance. You’re open to receiving energy work. You’re open to implement changes. You’re ready to connect with your body and listen to your deeper desires. You’re not open to receiving energy work. You’re closed to new ideas and concepts. You don’t want to try new things. You’re skeptical about the power of energy work. Are you ready to get started? I’m excited to get to know you better!